Shipping CO2 reductions, air permeability testing, interconnections between Greek Islands, marine energy technologies - discover some of the latest cutting-edge research from the UCL-Energy. J. Love, J. Wingfield, A.Z.P. Smith, P. Biddulph, T. Oreszczyn, R. Lowe, C.A. Elwell, ‘Hitting the target and missing the point’: Analysis of air permeability data for new UK dwellings and what it reveals about the testing procedure, In Energy and Buildings, Volume 155, 2017, Pages 88-97, ISSN 0378-7788, https://doi.org/10.1016/j.enbuild.2017.09.013. Compliance with regulations impacts not only the safety of properties, but also their energy performance and ability to provide healthy comfortable spaces in which to live. Researchers from UCL Energy Institute have just published an article, ‘Hitting the target and missing the point’: Analysis of air permeability data for new UK dwellings and what it reveals about the testing procedure', raising concerns that building regulations compliance issues may exist in the airtightness of new housing. Raymond J. Cole’s body of work, spanning sustainable design, system complexity and human agency, has encouraged researchers to reconceptualize the notions of comfort and building performance. However, methods for predicting energy use and assessing environmental performance have remained predominantly within a reductionist approach common to physics and engineering. The recognition that building performance is characterized by interactive adaptivity and co-evolution of the physical with the social has not been matched by the generation of new methods. Although social practice theories that articulate the socio-technical nature of the built environment have been increasingly appropriated to understand occupants’ role in performance, the challenge of studying buildings as complex socio-technical systems remains. This methodological paper discusses the application of the case study method (CSM) to the study of 10 retrofit projects selected from the Retrofit for the Future (RfF) Programme in UK between 2011 and 2012. Guided by Greene’s framework for methodological discourse, the epistemic regime is articulated under four headings: philosophical assumptions, investigative logics, guidelines for practice and contribution to system perspective. The discussion of these domains highlights the fecundity of CSM in providing a more nuanced understanding of the interaction between social and technical systems in performance. Accelerated technological change plays a crucial role in enabling the low-carbon energy transition. Quantitative energy modelling exploring alternative long-term decarbonisation pathways can support policy-makers in choosing the most important areas for technology promotion. This study analyses the potential contribution of marine energy in the UK from an energy systems perspective considering the trade-offs between local lead markets and global learning, the uncertainty in the learning potential, competition with alternative technologies and impacts on system balancing. The results indicate that only under very favourable conditions, i.e. with learning rates above 15% and high global deployment, marine energy will have a significant contribution to the UK decarbonisation pathway. Alternatively, marine energy could constitute a hedging strategy against multiple failure in other low-carbon options. The early strategic investments into marine energy lead, in most cases, to a slight rise in societal welfare costs compared to the respective cases without attempts to induce marine learning and brings benefits to the electricity system. Thus, on the whole, we conclude that marine energy has the potential to contribute to the UK energy system, but there is a substantial risk that strategic investments in a national lead market will not directly pay off in the long term. Numerous energy efficiency and carbon reduction technologies have been identified within the shipping sector but their overall implementation remains unknown. It is important to know the implementation in order to establish a credible baseline and evaluate progress towards low carbon shipping. Using a cross-sectional survey of shipowners and operators this paper attempts to gauge the implementation of over thirty energy efficiency and CO2 emission reduction technologies. The results show that whilst there is a good spread of implementation across the different measures, only a select number of measures in each of the categories are implemented at sufficient scale. Secondly, the measures with high implementation have tended to be those that have small energy efficiency gains at the ship level, and the uptake of CO2 reducing technologies, particularly alternative fuels is low despite their high potential for reducing CO2 emissions. If shipping's emissions are to be in line with other sectors in the future and follow a decarbonisation pathway, it would require higher implementation of energy efficiency and CO2 reducing technologies than those driven by current regulations alone. Scott, J; Smith, TWP; Rehmatulla, N; Milligan, B; (2017) The promise and limits of private standards to reduce greenhouse gas emissions from shipping. Journal of Environmental Law 10.1093/jel/eqw033. This article examines private standards that aim to mitigate greenhouse gas (GHG) emissions in shipping. These have emerged against a backdrop of regulatory inertia and the exclusion of international shipping from the Paris Climate Change Agreement. They are a product of complex governance arrangements and they have addressed areas of market failure that have held back fuel efficiency advances that are made possible by technological innovations. These private standards hold considerable promise but suffer to different degrees from certain weaknesses, notably a lack of transparency, a low level of ambition and concerns about data reliability. This article examines these deficiencies together with the reasons for them, and assesses the role that law could play in addressing them. It argues that the conditions may be present for the mitigation of shipping’s GHG emissions to become a site of ‘hybrid’ governance, combining private standards and state/supra-state law in a productive way. A report written by a team of experts from UMAS for the Carbon War Room. The report outlines a possible approach to evaluating risks related to climate change mitigation policy in the shipping industry through an illustrative case study of investments in newbuild drybulk vessels in the size range of 60,000-99,999 dwt. The views expressed are those of the authors, not necessarily of the client. Greece consists of 58 non-interconnected islands, located mainly in the Aegean Sea. Electricity is supplied to this region by 32 autonomous power systems (APS) using heavy fuel oil or diesel power generators. A number of interconnections between the islands and the national grid system have been scheduled for the upcoming years. In this paper, we analyse the economic and environmental benefits following the interconnections. It was concluded that Greece could save between 2015 and 2040, from 9.73 to 17.82 billion Euros, subject to fuel price costs and demand growth. These amounts are charged to the Greek power customers through a cross subsidisation policy known as public service obligation. Additionally, avoided costs for APS upgrade, range between 2.63 and 1.80 billion Euros. Interconnectors will also reduce the carbon footprint in the area by 51.1%-65.5% compared to the scenario of preserving APS. This is attributed mainly to renewable energy development reaching proportions of 84.7%-119% of the total power demand by 2040. 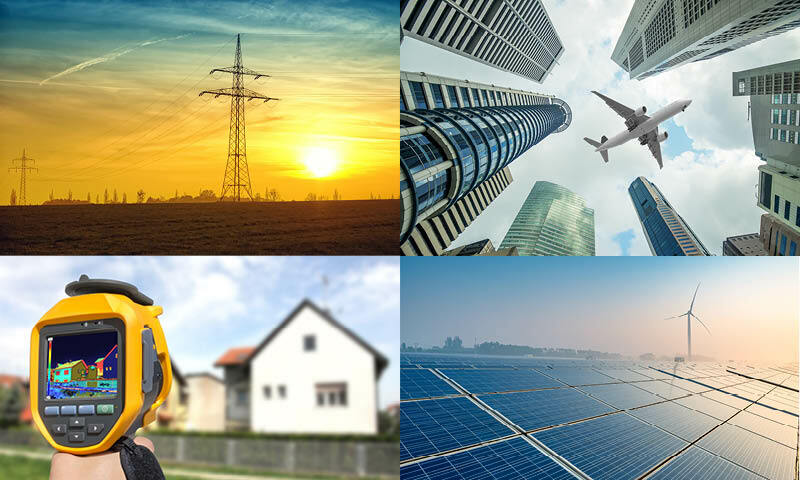 The Energy Institute (EI) developed its first Energy Barometer survey in 2015 which aims to understand professionals’ views and opinions of energy priorities, policies and technologies. 543 UK energy professionals from across the energy sector were surveyed. Following the survey, 79% of UK energy professionals believe their sector is not effectively communicating with the public. This suggests there is an urgent need to better understand how to use surveys in a more methodological way. Developed in conjunction with the EI, this paper presents the Energy Barometer survey methodology and results to achieve a better understanding of UK energy professionals’ current perceptions and future priorities. The paper makes two contributions to enhance the UK's energy debate. First, it provides the first results in a longitudinal assessment of energy professionals’ views of energy policy issues and discusses the implications for future policymaking. Second, it identifies opportunities for Energy Barometer findings to feed into scenarios development. A comparison with other studies was undertaken. It has been shown that the views of professionals working across the sector are aligned with decentralised approaches to decarbonisation. In particular, professionals expect action from policymakers to coordinate, engage with and encourage investment in energy efficiency. This paper describes a simplified model for estimating the vulnerability to spoilage of a number of refrigerated foods in households, resulting from interruptions to the electricity power grid. The tool is demonstrated on a sample of three foods (milk, chicken and fish) in India, which historically has suffered significant interruptions. The effect of interruptions is quantified in terms of tonnage and monetary value of potential losses, in a number of simple scenarios. These losses are estimated for rural and urban areas of each Indian state. Our model indicates that extensions to the duration of power supply interruptions increases potential losses in domestic refrigerators, and that these losses are considerable when compared to losses expected in previous stages of the food supply chain. The current model’s estimation of weight of food lost may be converted to a nutritional value, which opens an opportunity for new multidisciplinary areas of research.